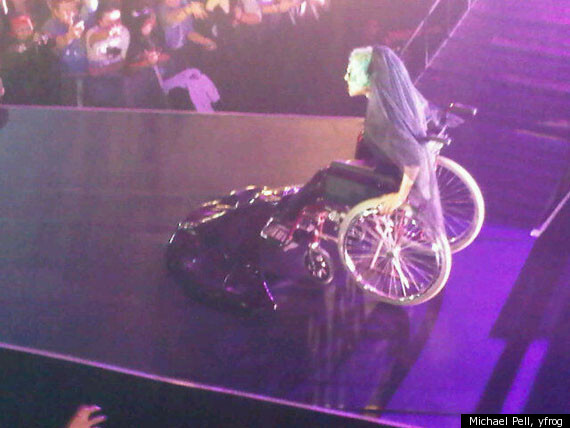 Lady Gaga may have suffered the backlash from disabled groups after performing in a wheelchair at a Sydney concert last week but Gaga isn't out of the doghouse just yet. Bette Midler is confronting the pop star saying that act may be controversial ... but it's also stolen! I’m not sure @ladygaga knows that I’ve performed my mermaid in a wheelchair for millions of people -- and many of them are still alive," the divine Ms. M tweeted. Adding,"Dear @ladygaga if you think a mermaid in a wheelchair seems familiar-it's because it is! You can see it on youtube 24/7-with ME performing it ... I've been doing singing mermaid in a wheelchair since 1980-You can keep the meat dress and the firecracker t*ts - mermaid's mine." But just because Midler is a singing comedian doesn't mean she's just joking around when it comes to confronting Gaga about her stolen act. At least Gaga is ‘borrowing’ from the best!